It was utter humiliation. Borussia Dortmund captain Marco Reus had no answers, coach Lucien Favre didn't discern. Lost for words, Chief executive Hans-Joachim "Aki" Watzke subconsciously conceded the Bundesliga to Bayern Munich. “If there was ever a deserved victory, then that was it. Congratulations to Bayern. The first half was among the best that I've seen from Bayern in the past years." It was crushing to watch, like a new kid at school having his pants pulled down by the playground bully. Die Borussen losing by five or more goals in Die Klassiker isn't unusual. After all, they were trounced 6-0 this time last year. But the manner of Saturday's defeat appalled. Bayern entered the match under pressure after a draw in Freiburg the previous weekend. Dortmund, meanwhile, reclaimed top spot, enjoying a majestic momentum. Bayern coach Niko Kovac, though, was indignant about some of the coverage of his side received - criticism that also questioned his ability to do the job. When it mattered most, he did all the right things. Bayern had 22 shots on goal, won more challenges, played more passes, completed more passes and forced 11 corners to Dortmund's one. It was a one-sided affair. Kovac effectively spotted and exploited BVB's weak link - 19-year-old French centre-back Dan-Axel Zagadou. The youngster’s positioning, movement and fright worked in his favour. Zagadou was culpable for most of the goals and even set Robert Lewandowski for the second with a wayward back pass. The match was a true test of Dortmund’s mettle and resolve but the Ruhr side was rather focused on actually winning the war rather than the battle. The huge victory puts the Bavarian club firmly in control for another Deutchemeister. By hitting five goals, they gained a further advantage in terms of goal difference. The reigning champions plundered 74 – eight more than Dortmund with fewer goals conceded. With six games to go, Bayern will be poised to hold on to their precious lead, especially as it is the first time they reached the summit this year. However, the job is not done with just a single point for a cushion. A quick glance at their respective fixture lists shows Dortmund with an easier run-in - their local derby with Schalke representing the most obvious landmine. The Gelsenkirchen club is on something of a slide lately, scrapping for survival. The Black and Yellows hosts Mainz and then visits Freiburg before a highly charged Ruhr derby. A tricky trip to in-form Bremen follows before Duesseldorf visits. Dortmund's season ends on the road at Borussia Moenchengladbach. Bayern, meanwhile, has more to do. Fortuna Duesseldorf, Bremen, Nuremberg and Hannover may not trouble the record champions, but the final two fixtures against RB Leipzig (3rd) and Eintracht Frankfurt (4th) would certainly do. With that pair chasing a transformative place in the Champions League, it will not be a relaxing end to the season. The DFB Cup could play against Die Roten too. Bayern is chasing an accustomed double, with a trip to Bremen three days after hosting them in the league. Although destiny is no longer in their hands, Dortmund’s kindergarteners would need to bounce back from the recent mental pummelling. They will be expected to show same courage of that energetic, youthful team that for a couple of minutes in December held a double-digit point lead over a sluggish, ageing Bayern outfit. 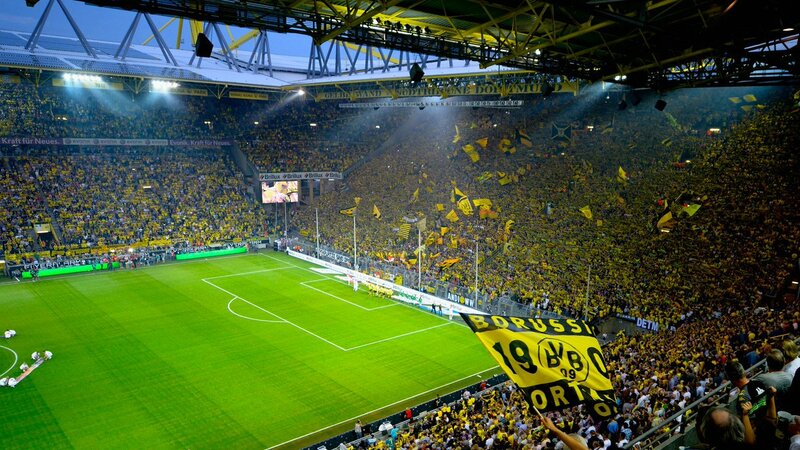 It won't easy but Dortmund is very much equal to the task.